If you are in the market for an ERP (Enterprise Resource Planning) solution, you know that your choices can be overwhelming. There are so many systems out there; how do you choose the best one for your business? How do you find the perfect blend of usability and functionality? You could spend hours reading all the marketing materials from the various software companies. 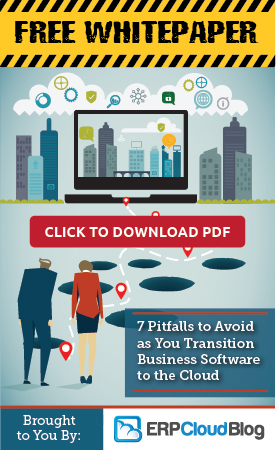 Or better still, you could download a report that that compares twenty-two leading ERP vendors side-by-side. The report delves into current trends in the ERP market, including the growing impact of cloud technology, consolidations of some companies, and needs of niche micro-verticals. Check out the chart showing which ERP Vendors are Core Providers, Facilitators, Leaders, and Experts. Learn how to identify which brands offer the best usability and functionality for your business. Find out which companies are improving their capabilities, and which are falling behind. Read about planned innovations and improvements. Since the last ERP Value Matrix, Nucleus found that market-leading vendors are implementing technologies that are facilitated by the flexibility and scalability of the cloud, which enables customers to reach higher levels of maturity along their digital transformation journeys. The Nucleus report will help you identify the top ERP vendors. It’s no surprise to those of us at CAL Business Solutions that Acumatica is a Leader in the 2018 ERP Value Matrix. Acumatica continues to lead the way in usability, serving several industry verticals, including commerce, manufacturing, and field service. According to the ERP Technology Value Matrix 2018, “High usability and flexibility are at the center of Acumatica’s development philosophy, and the vendor is looking to automate processes that it already delivers, such as with multi-entity accounting when making payments to multiple locations from a central location.” That along with other innovations put Acumatica at the top of the list. To find out more about the capabilities of Acumatica, download the Nucleus report, or contact us at CAL Business Solutions. Does it Matter if an ERP Partner is Gold Certified?